Is HTC's handset a true titan of the latest Windows Phone offerings? Nokia's Lumia 900 proved a crucial release for Windows Phone, with its pairing of striking form and a very low entry price making the operating system appealing for a much wider base than past models had attracted. 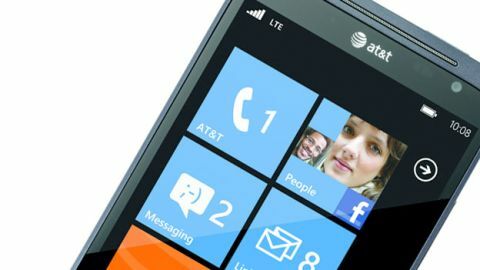 The HTC Titan II launched with the Lumia 900, offering another headline Windows Phone option for AT&T's 4G LTE customers, but what makes this a potential standout option? The Titan II looks largely similar in form to the original HTC Titan, which launched alongside the Mango release of the OS last fall, albeit with a more obvious lip at the base of the display – a light upwards curve where the virtual back, home, and search buttons are found. As indicated by the title, the Titan II is a sizable handset, with a 4.7-inch display that luckily features little bezel along the sides, keeping it easily grasped. The SuperLCD screen is bright and attractive, though at 800x480 resolution, the pixel density (199 ppi) leaves something to be desired. A screen this large demands a much higher resolution, though the gorgeous Windows Phone interface still looks great on the display, with text and the large colored boxes appearing bold and beautiful as you swipe through pages. At times, the individual pixels can be quite clear, but it's not as common as expected. The Titan II has a little heft, weighing in at six ounces, and it's 5.12 inches tall and 2.76 inches across -though it feels pretty svelte at just 0.39 inches thick. That said, the Titan II is no physical showstopper like the Lumia 900 is. The Lumia 900 surprises and delights on first glance, the Titan II looks more akin to an average grey and black slate handset, with curved corners and a lightly textured plastic backing that feels good in the hand. Flipping the phone around reveals the HTC Titan II's standout feature – the 16-megapixel back camera lens, which arrives in stark contrast to the standard 8-megapixel lenses seen on most smartphones, including the Lumia 900. We'll dig into the camera's performance later in this review, though it's fair to say that double the megapixels doesn't necessarily mean twice-as-sharp photos. Next to the lens itself are two flash LED lights, as well as the small speaker grate. Due to the raised profile on the back to accommodate the lens, which still protrudes out, the phone does not lay fully flat - and the lens is perhaps prone to scratching as a result. At the bottom of the back, a small plastic grate can be slipped off to reveal the SIM card. The cover is easily removed with a bit of force, though it did come off once in a pocket during testing, and the phone shuts down when the grate is popped back on. Sadly, the HTC Titan II lacks upgradeable storage – you're limited to the built-in 16GB of space, minus what's taken up by the OS and installed apps. The large volume rocker is found on the upper right side of the phone, while that side also houses a dedicated camera shutter button. Holding this button in on the main menu also allows direct access to the camera and video app. On the left side is a mini-USB input, while the top of the phone houses a physical power button and a 3.5mm headphone jack. AT&T offers the HTC Titan II at a price of $199.99 with a two-year contract, with the full contract-free pricing coming in at $549.99. It's a noticeable step up from the Lumia 900, which comes in at $100 less on both fronts, even with the same 16GB of built-in storage.